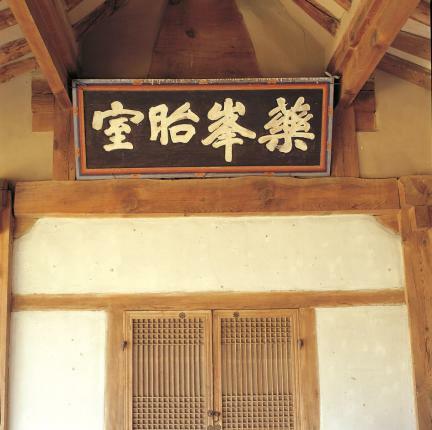 조선 중종 때 문신 서해(徐嶰) 선생이 서재로 쓰기 위해 명종(재위 1545∼1567) 때 지은 별당이다. 규모는 앞면 4칸·옆면 2칸이며 지붕은 옆면에서 볼 때 여덟 팔(八)자 모양을 한 팔작지붕이다. 부속된 방은 지붕 양식이 옆면이 사람 인(人)자 모양을 한 맞배지붕이다. 왼쪽 3칸은 대청, 오른쪽 1칸은 누마루며 앞쪽으로 온돌방 2칸을 붙여 집의 구조가 T자 모양을 이루고 있다. 지붕 처마를 받치기 위해 기둥 위에 간략한 새부리 모양의 구조를 짜았다. 누(樓)마루와 온돌방 뒤쪽으로 난간을 둘렀고 건물 안쪽은 민가 건축에서 볼 수 없는 재료를 사용하여 지붕 맨 윗부분에 있는 재료를 받치고 있다. 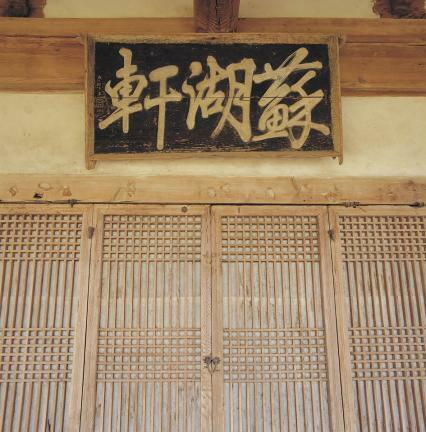 기와에 새겨진 용 두 마리가 나는 문양은 민가에서 보기 드문 것이며, 건물에 나타나는 오래된 수법들은 조선시대 민가 건축 연구에 소중한 자료가 되고 있다. 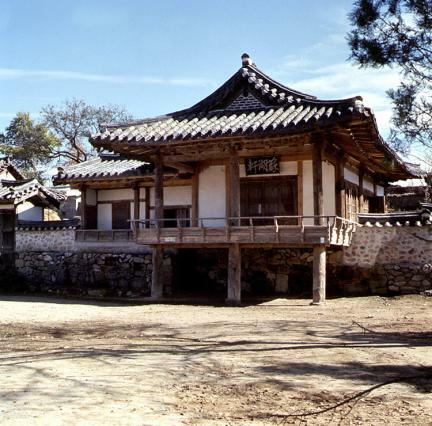 Sohoheon House is a detached house built in the reign of King Myeongjong (r. 1545-1567) of the Joseon Dynasty by Seohae, a civil minister of King Jungjong. It was originally designed to be used as a library. 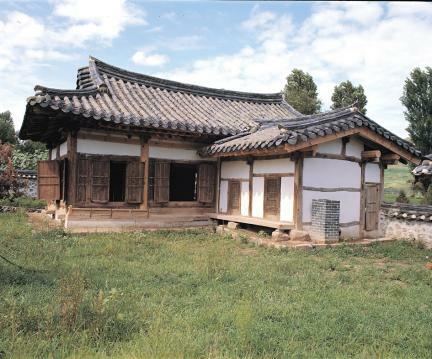 The house is comprises five kan (a unit of measurement referring to the distance between two columns) at the front and two kan at the sides, and has a hip and gable roof, which resembles the shape of the Chinese character 八 (pal, meaning ‘eight’). 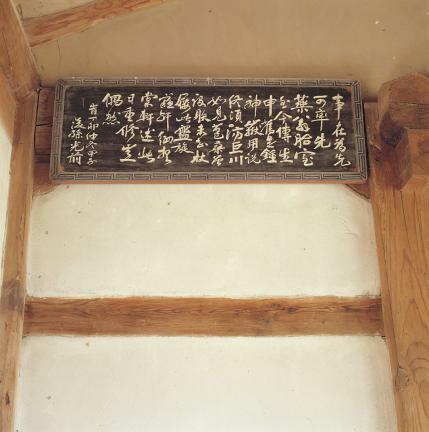 However, the other attached room has the gable roof, which is the shape of the character 人 (in, meaning ‘a person’). 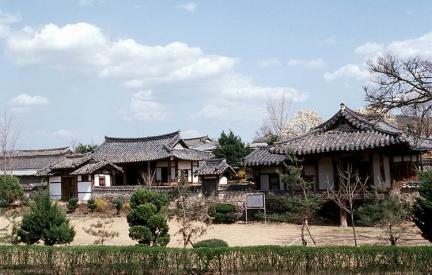 This building, which is in the shape of ‘T’, consists of three kan on the left side, which is the main hall, one kan on the right side, which is the numaru (wood-floored veranda with a railing), and two ondol rooms attached to each other, with the traditional Korean heating system. 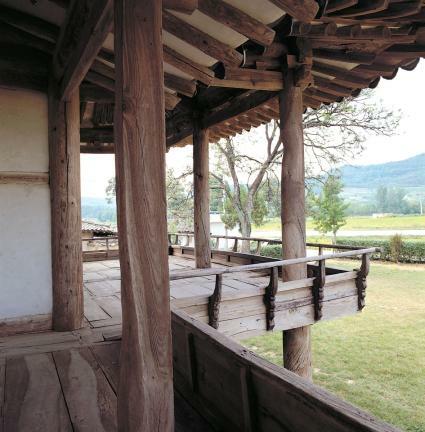 The eaves of the roof are supported by a double-wing bracketing system on the columns. The back of the numaru and ondol rooms are ringed by handrails. 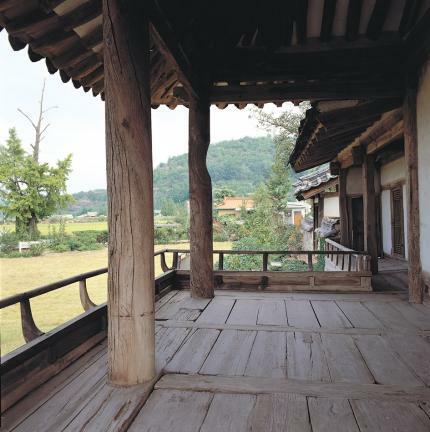 The top part of the roof inside the building is supported by unique materials that are not found in other private houses. 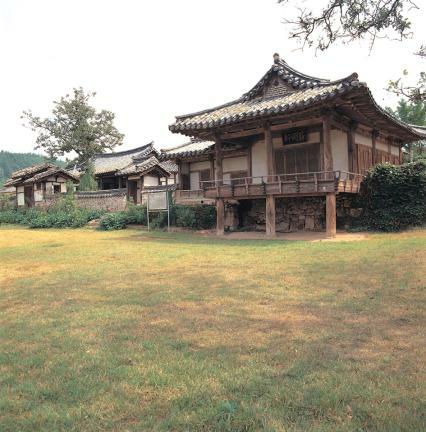 With the design of two flying dragons carved on the roof tiles, something rarely found in other private buildings, and the skill and style of its construction, the house is regarded as an important cultural asset and also valuable for the study of private houses of the Joseon Dynasty.